The Broadway Revival of the musical Godspell will be performed in concert at The Lyric Theatre, Shaftesbury Avenue on Monday 19th May 2014 in aid of Make-A-Wish Foundation UK, who grant magical wishes to children and young people fighting life-threatening conditions. The show was last seen in the West End in 1972, has recently enjoyed a successful run on Broadway and is currently touring the US. By permission from Stephen Schwartz, composer of ‘Wicked’ and ‘Pippin’, Russell Scott Entertainment Limited, in association with In-House Casting, will be producing a concert charity performance featuring a West End cast plus special guests, a hand-picked band and a 32-strong choir led by members of Maida Vale Singers and American Musical Theatre Academy. The concert will be directed by Kenneth Avery Clark. The cast will be announced early next year. 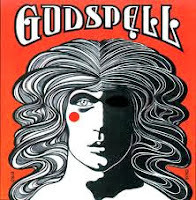 Book tickets for Godspell in Concert.